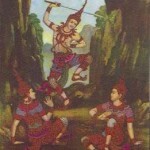 The Tudong forest tradition style of Buddhism in Thailand, uses the practice of examining that which is unclean, to destroy the false idea of beauty, and desirability. The technique works by applying the contemplation on various forms of human corpses, in order to destroy the false view of a self that is to be coveted. 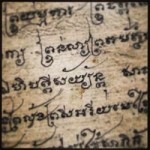 Hence, we should take every opportunity to examine and contemplate the Dhamma of Patikula Namasikara as ‘Bhavana’ (applied practice of contemplative mindfulness), to penetrate the illusion of beauty, and liberate from the enchantments of Rupa Dhamma, the world of conditioned forms, names, and sensory perceptions. We may not have the opportunity to sit in a Cemetery and meditate over corpses in various states of dissolution, but we can still see it when we walk through the meat and fish markets, and we can see it in video and tv, and contemplate our own body, when viewing corpses of living beings, and learn to know that we face the same end. 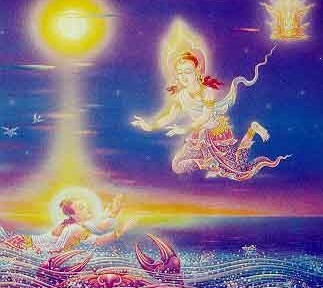 This causes dispassion with impermanent material states of existence, and prepares the way for further advancement along the path to Liberation (Arahantship). 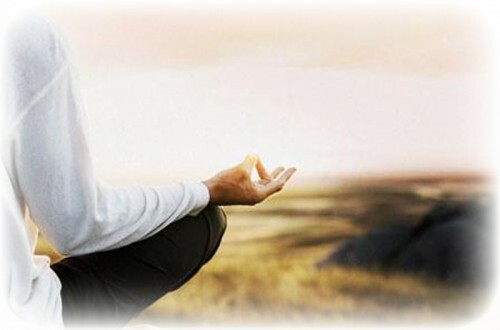 The Goal of Meditation is often seen as the Ultimate Goal aimed at with Buddhist Practitioners. 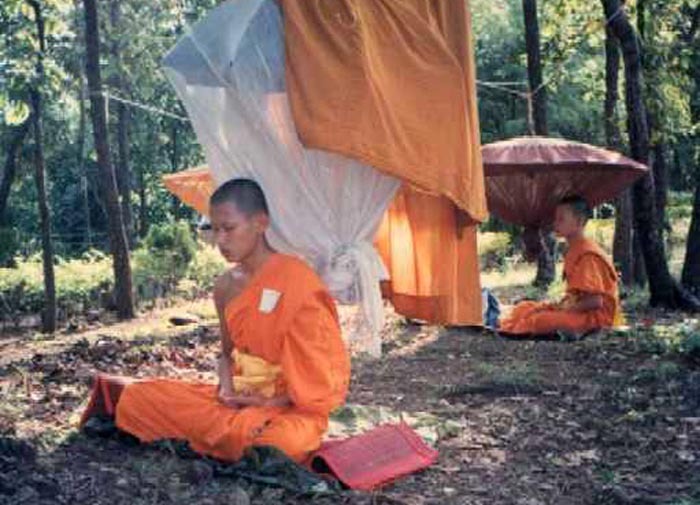 Vipassana is often mistaken for Samatha Meditation, and Both are often mistakenly thought of as the Mission at hand. Meditation practice, and it’s highest states are however, not the goal of goals. 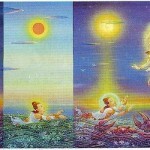 The Lord Buddha reached these Meditative Attainments to their full capacity with his 2 Lersi teachers. 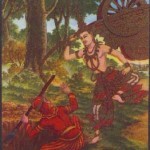 This did not Enlighten Him or release him from Samsaric wheel of Rebirth, which was of course his aim and goal from the beginning. The purity and stainless mind which comes with Buddhahood or Arahantship however, was not his goal at the beginning, for it was only later as meditative ability and insight, along with the experiences leading to his realization of the middle path. 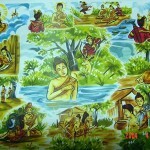 The middle path is a Dhamma he realized some time before his enlightenment. 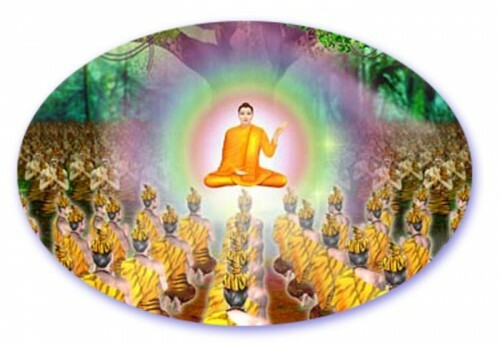 The realization of the middle path, and the confrontation with the stains of wrong view which obscured the Dhamma from the eyes of all Beings in Samsara, is what led him to begin the quest for removal of impurities, which leads to Arahantship). 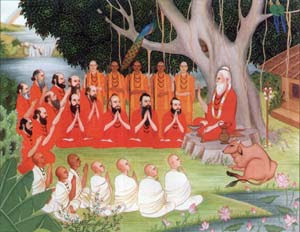 After attaining the Meditative Jhanas in all their possible levels, the Buddha realized that this would take him no further, and so he left to tarry onwards, for it was the presence of stains, kilesa, impurity, defilement and wrong views which was the goal (to remove them). This was he goal, not meditation. meditation lets you see the defilement stains or kilesa arising from false views of reality, and that is what is then going to lead you to conclude what needs to be removed to become free and see clearly. Selfishness is what has to be removed, for selfishness arises from the false view of a separate self.. removal of this false view will remove the selfishness that comes from the false view of a self. So the way to remove Kilesa, is to remove Avijja (false views) this is done with Vipassana (insight development). Successful Manifestation of the Practice as a Fully Realized Innate Natural Poise is the true correct practice of the 8 fold path. 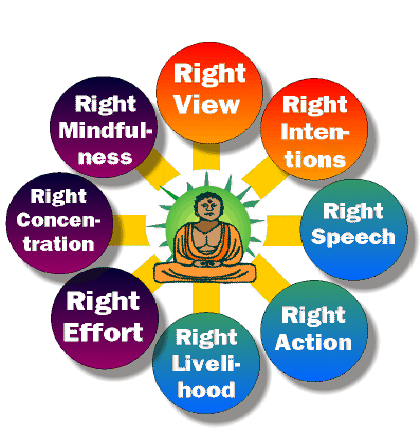 The Noble 8 fold path is the theoretical categorization of the middle path as explained to Humans by the Lord Buddha. One could split it into 12, 7, or however many abstract facets of practice one can concoct if one wishes, the core truth remains undivided, and is one single poised practice. 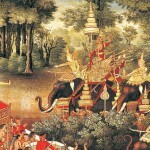 This entry was posted in All Posts, Beginners Buddhism on May 18, 2013 by Ajarn Spencer Littlewood. The Venerable Ajahn Chah Speaks for the first time again on DharmaThai.Com – Exerpts of the Book “No Ajahn Chah – Reflections” Verses from the Chapter on Peace. 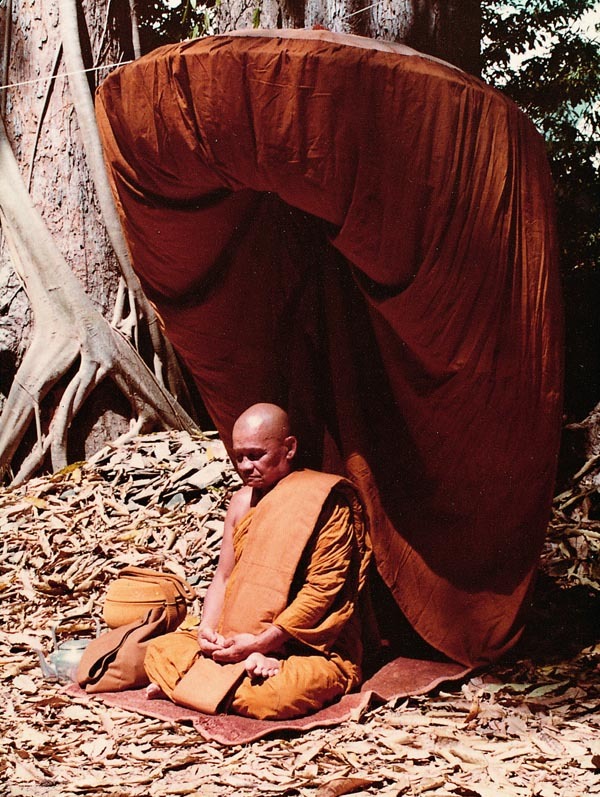 Once there was a Lay Person who asked Ajahn Chah, Who He Was? 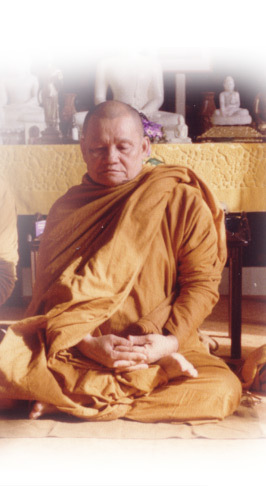 Ajahn Chah, knowing that this Person would not be able to Understand Deep Dhammas, pointed to Himself and replied; “This, This is Ajahn Chah!“. 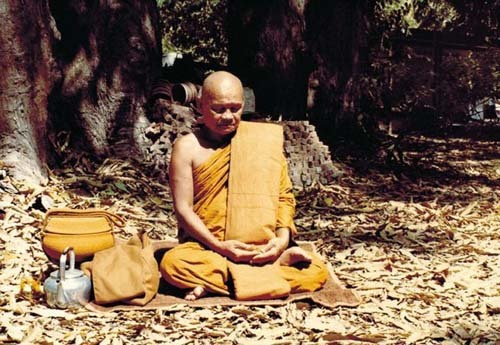 Another Time, Ajahn Chah was asked who He is by another Individual. 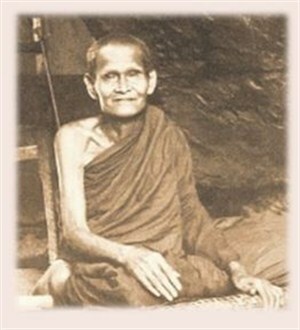 But this person Ajahn Chah saw to be able to understand the Dhamma well, and so he answered; “Ajahn Chah? 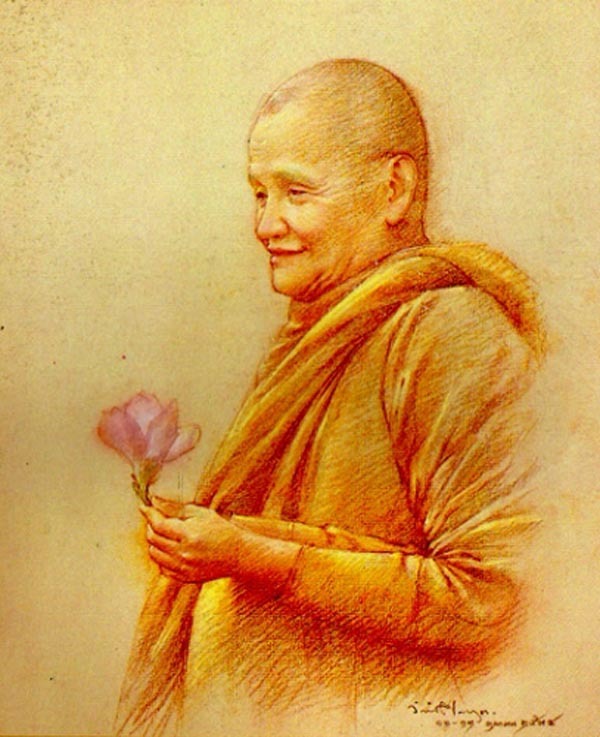 There is no such thing as Ajahn Chah“. 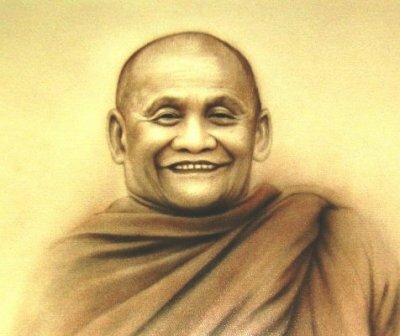 Ajahn Chah Answers; “What is Confusion? Well Peacefulness is the End of Confusion”. Know what is Good and Bad, whether Travelling or Living in One Place. You can not find Peace on a Mountain, or in a Cave. 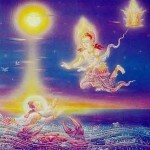 You can even go to where the Buddha Attained Enlightenment, without getting Closer to the Truth. Looking Outside the Self, is to Compare and to Discriminate. You will not find Happiness that Way. Nor will You find Peace if You spend Your Time looking for the Perfect Person, or Teacher. 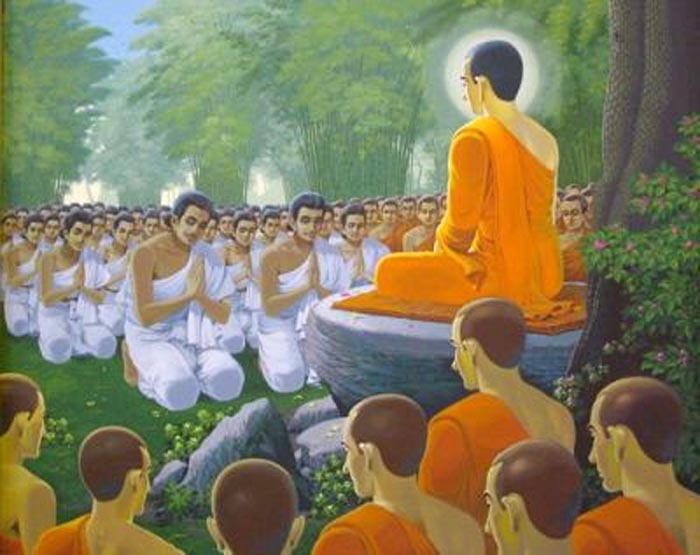 The Buddha taught Us to Look at the Dhamma, the Truth, and not to look at other People. Where is Peace to be Found? Peace is Within Oneself to be Found in the Same Place as Agitation and Suffering. it is Not Found in a Forest or on a Hilltop. Nor is it Given by a Teacher. Where You Experience Suffering, You can also find Freedom from Suffering. 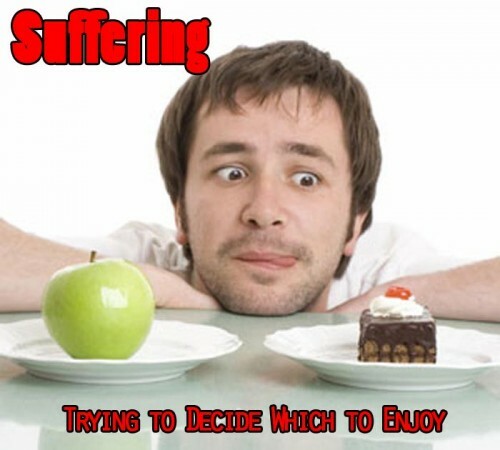 Trying to Run Away from Suffering is Actually, to Run Towards It. If You let Go a Little, You will have a Little Peace. if You let Go a Lot, You will have a Lot of Peace. If You let Go Completely, You will have Complete Peace. 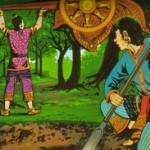 below the gallery of scenes from the Jatakas (Totsa Chadok), are ten video cartoons about each of the ten last Incarnations of Lord Buddha. 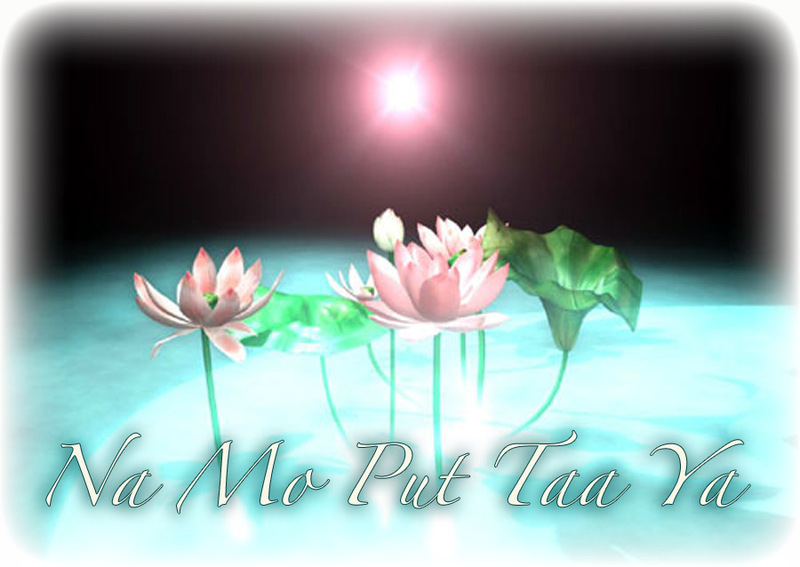 This entry was posted in All Posts and tagged Buddha, Jatakas on January 24, 2012 by Ajarn Spencer Littlewood. Taking Refuge means, that we Refuge in the Attainments of the Lord Buddha, as a Faith instiller to let us know that a Human can do this (self liberation). 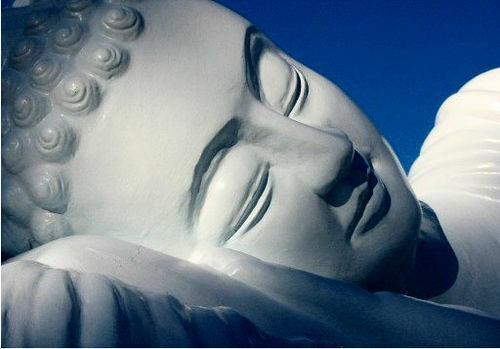 We Refuge in the Dhamma, the teachings which lead to liberation. 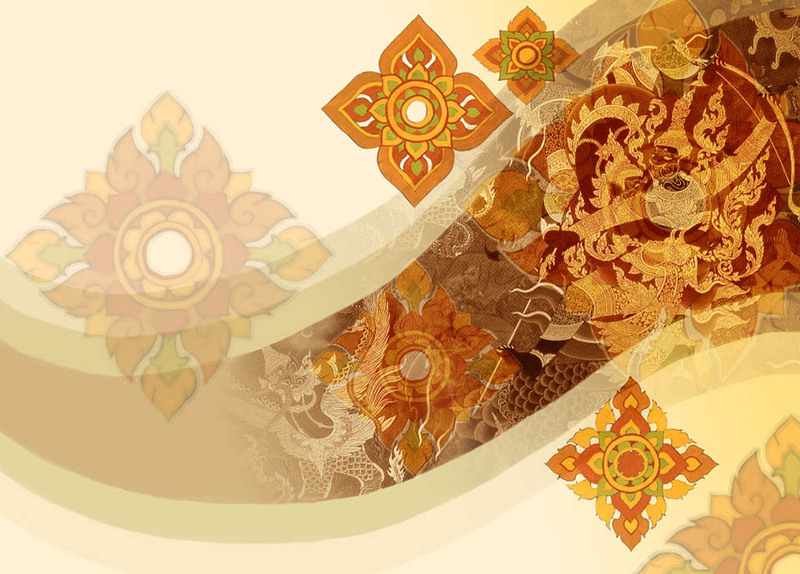 The Sangha is generally used as a word to refer to the company of Monks and Nuns, but actually, Sangha means the company of true spiritual practitioners who should be sought out as true companions and positive influence on our life. 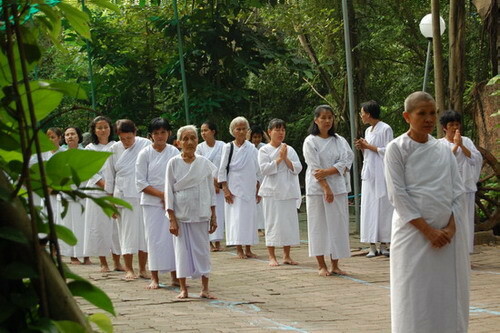 So we Take Refuge in those that have Attained Liberation, and follow in their footsteps, by Taking Refuge in the study and practice of the Dhamma in the present time, and by Taking Refuge in the right company and Refuging in those who have gone further and attained more self mastery, and can be seen as our guides and teachers, as well as spiritual companions. What is The Triple Gem?